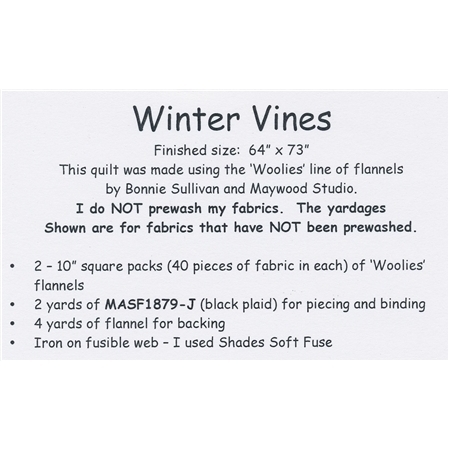 Winter Vines is a pattern designed by Bonnie Sullivan for All Through The Night. 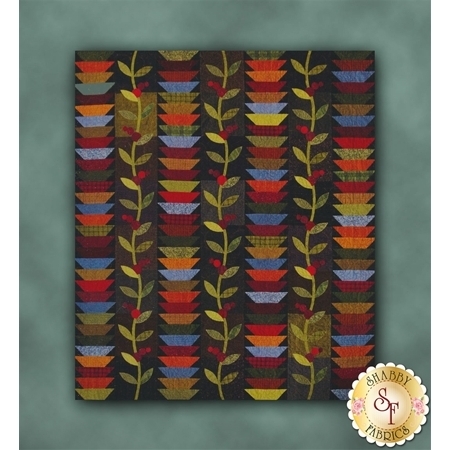 This friendly quilt design features vines of holly berries perfect for the holiday season! Pattern includes all instructions for the quilt. The finished size is 63" x 72".